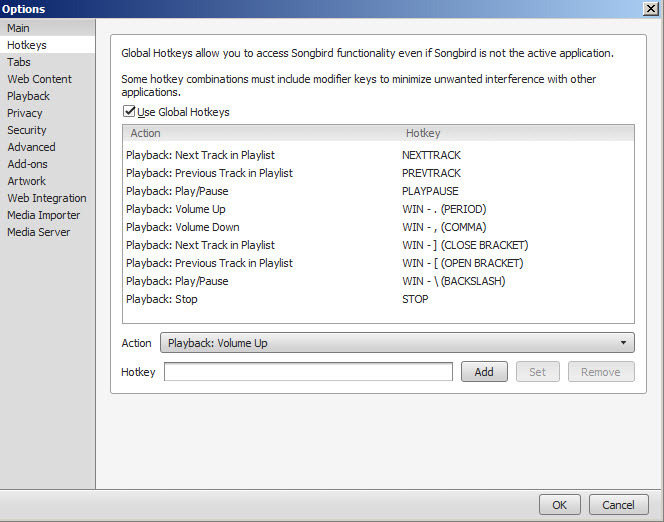 Songbird is a music and media player which is able to handle various audio and video files. The program comes with a simple interface and doesn't provide advanced features. 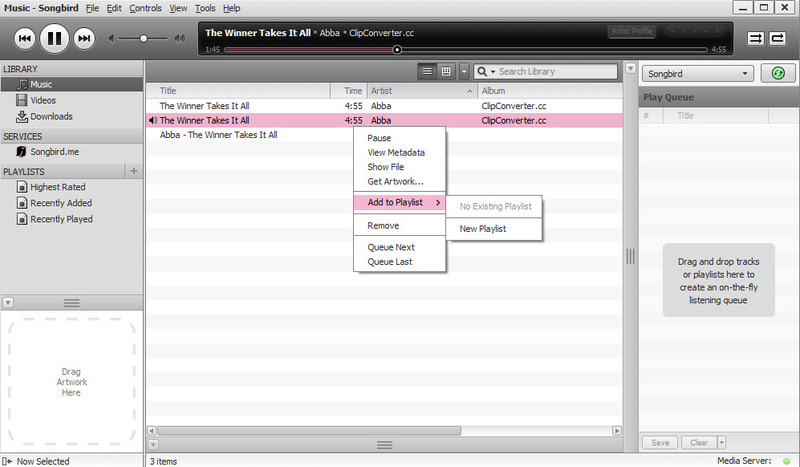 You can use drag&drop to add files into its interface and organize them in playlists. It has a tabbed interface and supports hotkeys for quick commands. You can view metadata information such as song title, author, composer, album and more. The program was released first time in 2006, but now it seems that is no longer developed. 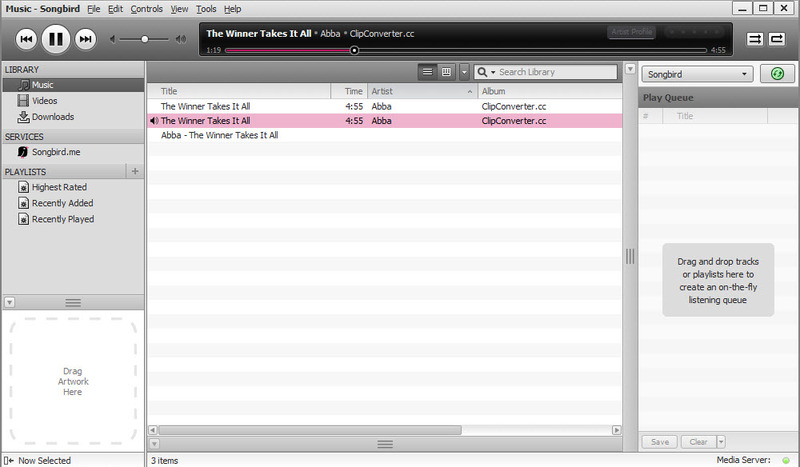 You can switch to another easy to use audio player such as AIMP. Songbird is available as free download for Windows 32-bit and 64-bit. Songbird is 100% clean and safe to install. You can see the test results here.